Get a consensus answer to a legal, technical, or other question. Get a consensus prediction about a future event or outcome. Get a Public Fairness AssessmentTM on any controversy. Resolve a dispute effortlessly with a business, employer, landlord, or other counterparty. Engage 1,000s of industry insiders, legal experts, and public jurors from the Rhubarb community. Choose an option above to get a legal or technical answer, a consensus prediction, or a Public Fairness AssessmentTM (PFA) of a dispute or controversy. Choose your jury. 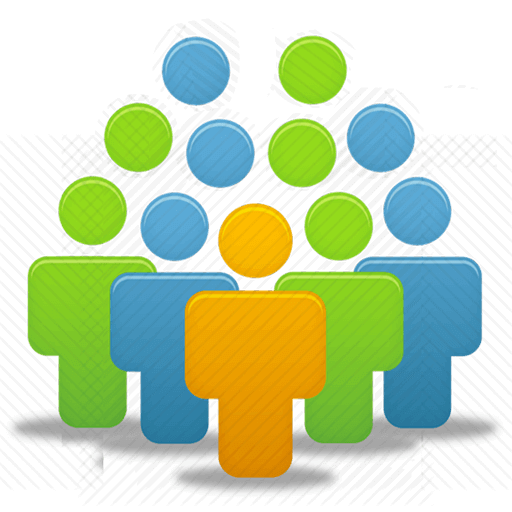 Invite member groups by industry expertise (law, healthcare, auto mechanics, etc. ), or members of the general public. Jury size can scale from hundreds to thousands of participants, depending on the case. Offer a crypto-reward. You can use RHUCoin or other cryptocurrencies to create incentive rewards for greater network participation. Get an informed consensus. Rhubarb helps you make decisions by harnessing the wisdom of large numbers of public and/or expert jurors. Incentivize jurors to participate on your topic or case. Jurists receive crypto rewards when they vote with the winning consensus. Enlist an advocate to represent your side. Earn it. Vote in 3 other juries and qualify to start your own. Donate in RHUCoin - Vote in 3 other juries and qualify to start your own. Discover the best answer to any question. Arbitrate to settle a dispute with any business or counterparty. Put up any topic or controversy for a Public Fairness Assessment. Click any issue below to see which jury groups fit you. Help by voting in three cases and qualify to post your own. Refer 5 friends. Get five of your friends to vote—you'll have enough RHUCoin credits to get your own consensus verdict. Donate 50 RHUCoin to launch your own jury vote. Don’t have RHUCoin? No problem. Help 3 other community members by voting in their juries and qualify to start your own. It’s easy; each case takes about three minutes. Choose any of the cases above, or view more active cases. You can also add RHUCoin to increase engagement or time-to-consensus on your topic. Win bonus RHUCoin when your vote is part of the winning consensus. Note the consensus bonus amounts on cases listed above and all other active cases. How do I get RHUCoin? Arbitrate a dispute. Request a Public Fairness AssessmentTM (PFA) to settle any dispute or controversy. Invite the other side to settle based on the collective opinion of informed legal or industry insiders—or invite the public to choose the fairest resolution. Get fast consensus-based answers to technical or legal questions by polling groups of people with related experience and insight. Important – Read before proceeding: Rhubarb provides a user platform for consensus answers / opinion from the public, industry experts, and community on a wide range of topics, including how to resolve disputes and answers to legal, technical, and other questions. You understand and agree that nothing communicated on the site constitutes legal or professional advice, including all user posting, advocate suggestions, and consensus votes. Posting by legal and industry professionals is not professional advice and does not imply or constitute a legal, professional, or other fiduciary relationship between any of the participating parties. Rhubarb and its members do not provide legal or professional advice or services. We are not a legal referral service. Rhubarb is not responsible for the accuracy of information posted on its site by members. Users are strongly advised to seek independent professional counsel before making decisions regarding cases or topics posted at Rhubarb. You further agree to these and all other Terms of Service, and to hold Rhubarb harmless for your use of its services or for any decisions you may make based on its content or any content you post, including voting, suggestions, comments, or other content; and for mechanical or data failures, hacks, or other technical or critical features of the site. Regulation of crypto tokens is rapidly evolving. In the event that RHUCoins are deemed securities or have been issued in a manner that conflicts with existing or future regulations, whether in the USA or other jurisdictions, issued coins may be subject to recision, reissue, or other modifications without compensation to the holder, in order to comply with regulations. system gaming or fraudulent activiites on the site or that could adversely impact RHUCoin awards, create dilution, or otherwise compromise Rhubarb’s business model or user benefits. Other risks may exist that are unknown or unforeseen by Rhubarb management. RHUCoin purchasers and poll participants who hold RHUCoin are encouraged to conduct their own due diligence at legal@rhucoin.com. However, Rhubarb is not a law firm and cannot provide legal advice on cryptocurrency, regulations, tradability, or other legal matters relating to crypto-token transactions or assets. Users hereby agree that Rhubarb provides no guarantee or representation of RHUCoin’s future or current value, its liquidity, marketability, transferability, exchange listing, tax or regulatory requirements, or its legality according to national or local laws pertaining to cryptocurrency, securities, or other issues that may affect RHUCoin ownership. 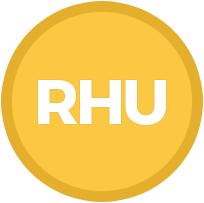 Use of the Rhubarb system, including Poll Verdict initiation and voting, requires user engagement in good faith to earn RHUCoin by helping promote justice through “mining” consensus, and by helping resolve disputes and controversies. Users agree not to collude with other users to impact outcomes, cast multiple votes under aliases, or otherwise contrive to defeat the community justice-mining process. Users are solely responsible for any posts that they make. False, defamatory, malicious, or other damaging communications will be cause for suspension of community membership and further participation. Liability for such communication rests with the user.